There is no real need to go all the way and make a complicated weed recipe involving hundreds of ingredients, two hours of your time and much research and trial and error. 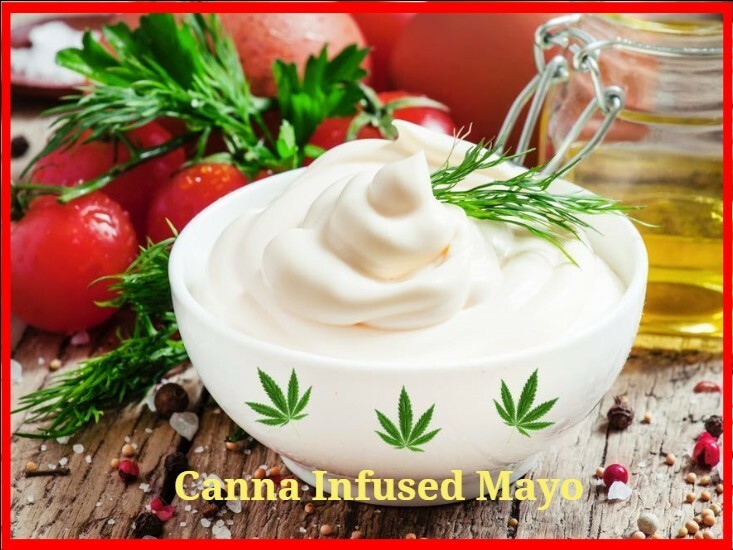 It is far easier to simply learn how to make you own marijuana mayonnaise and layer it over your favorite treats. It is an easier way to go about your food. Pretty much everybody should have some cannabis mayonnaise in their fridge. It can be added to burgers, French fries, salads, everything you would normally put mayonnaise on. Additionally, the following recipe only takes about 5 minutes to make. Combine the lemon juice, egg, garlic and prepared yellow mustard in the blender/food processor. Blend until smooth then continue to blend on low speed while you pour the marijuana oil slowly, drip by drip. Watch as the mixture thickens into a beautiful classic mayonnaise texture. Store in your refrigerator and voila. You have successfully created cannabis infused mayo.